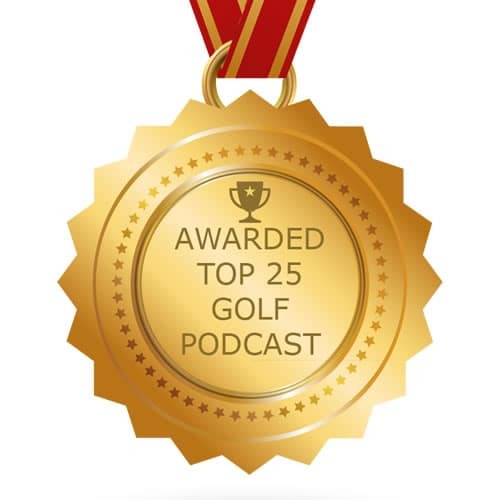 628: Roger Gunn is a Golf Magazine Top 100 Alumni who has experienced a variety of pro tours, but then discovered that teaching suited his personality, game, and lifestyle more than being on the road all the time. 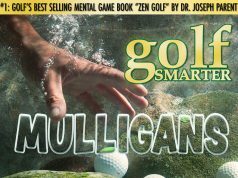 Currently Roger’s the Director of Instruction at Tierra Rejada Golf club in Moorpark, CA. The subject of this conversation was inspired by a video Roger did called Diagnosing Your Mistakes . 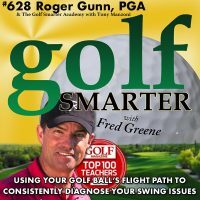 Roger has worked with many PGA Tour pros, but one of his mentors was Jim Hardy who also talks about ball flight patterns as a way to identify swing issues. 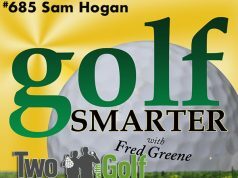 We featured Hardy’s book Solid Contact in two episodes back in 2012 on Golf Smarter. Here are the links if you’d like to check those out too. Episode #329 “Solid Contact! The New Book from Legendary Coach, Jim Hardy” and #330 “Solid Contact! Part2 with Jim Hardy”.